If you have heard of Crypto Edge and you are considering trading on the software to make $700 daily, I want you to forget about it entirely. Do you want to know why? You will not only waste your time and effort; your money will go directly to scammers and enrich them for creating a bogus system that looks like a child’s play. Yes! Crypto Edge is one of the scam systems of November 2017. Believe me when I tell you that this one is a definite fake, a joke and has nothing to do with crypto trading. As you read this Crypto Edge review, you will understand why even thinking about the App is a waste of your valuable time. When it comes to revealing scam cryptocurrency trading systems, I have seen many, but I can assure you that Crypto Edge is just too obvious for what it is. Take a curious look at the Crypto Edge scam website; notice the arrangement that seems like the first design of an amateur. 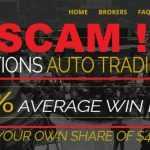 For a system promising crypto traders to make a whooping sum of $700 every day from an ITM of 99.7%, why couldn’t they offer a professional website design from all the money they claim to make? Do you know why financial practitioners always appear neat and rich? To assure customers that they have enough and won’t tamper with the money entrusted to them. 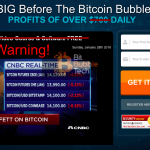 From the look of the Crypto Edge website, you can easily deduce that creators of this scam software are a bunch of hungry scammers trying to catch crypto traders unawares. During my investigations into this dubious trading app, I discovered many lies and exaggerated claims. My discoveries were terrible, and I want you to know them as you read this Crypto Edge review so that you don’t waste your time and money. 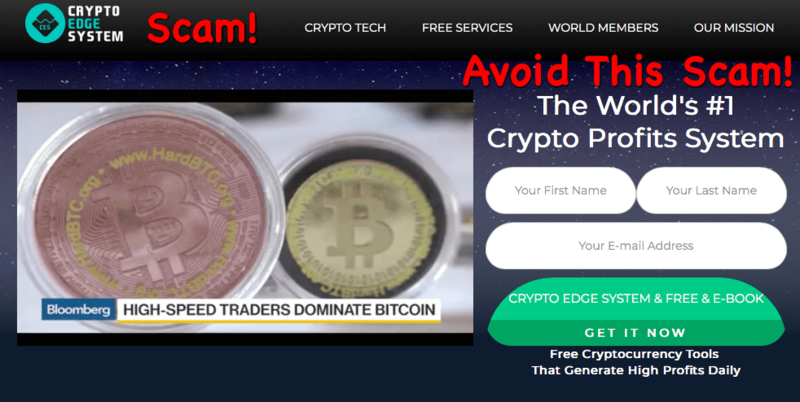 Crypto Edge Scam Exposed – Find Out Why! 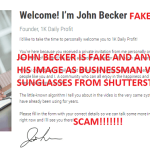 This factor is always a common thing amongst scam trading softwares. On website of Crypto Edge system, you will not find any information about company name, phone number or even an address. I always say this, if any system works, the owner will proudly claim the glory and wouldn’t want to hide. Money and transparency work well than secrets. If you can’t verify the ownership of any trading software, don’t give them the time of day because it is too risky to invest in an anonymous owner. What if you lose your money, who will you hold responsible? According to what these scam system developers say, Crypto Edge is an advanced software that never fails. It reveals secrets which traders can utilize to make profits with ease. According to them, if a trader follows the signals, they will make $700 every day in cryptocurrency without incurring any risk. All these claims are promising, but none of these claims are backed with any proof. When I review any trading software, I make sure to include a detailed description of how it works so that readers can understand intricacies of the software. Unfortunately, I don’t have any information on how Crypto Edge works except that it uses blockchain technology for a high level of accuracy. All I can assure you is that this scam software is neither a high-frequency crypto trading platform nor is it a crypto mining. The system is just a binary robot betting on only crypto pairs which is further linked to scam brokers. If you see any positive Crypto Edge review, be assured that they come from paid actors. Scammers always hire actors and pay them to write rubbish testimonials and reviews. 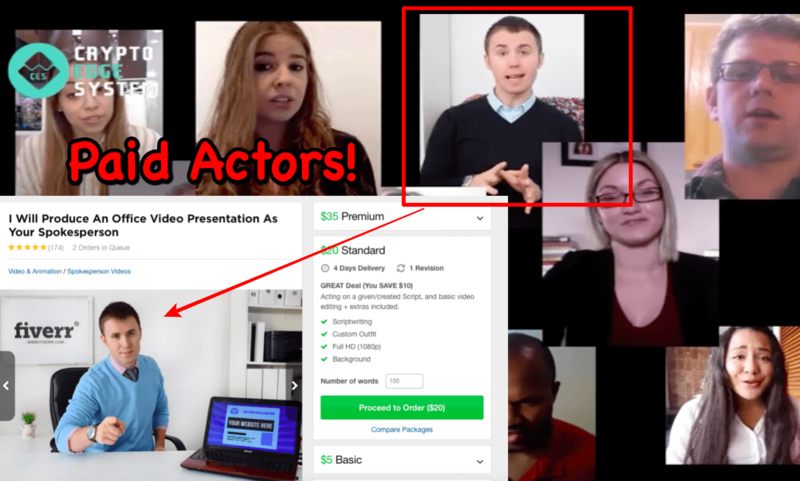 In the case of Crypto Edge software, the testimonials are from actors who create scam videos for few dollars on Fiverr.com. I also discovered that some of the actors have also created videos for other scam systems floating all over the Internet. If you want to waste your money because someone hired an actor to say and write rubbish, I will ask you to reconsider. These people are not a member of Crypto Edge and don’t know anything about cryptocurrency trading. I think they are the worst people to tell you about trading profits. Recently, we also exposed Bitcoin Code scam(Check Review). A winning rate of 99.7% is a huge exaggeration because even the famous and legit trading systems will not make such an outrageous claim. Also, the claim of accuracy is impossible and childishly unrealistic. Let’s say for instance, the claim is true, do you think that the system will be free? Don’t be confused by these lies. If such a system exists, one will pay a huge amount of money for access and trading. There is no company name, office address nor contact number so; you should know that Crypto Edge scam has no operational license nor is it under any regulatory body. I emphasize a lot on regulation because these bodies protect consumers by ensuring that financial and investment companies abide by the rules and best practices for the good of their customers. Crypto Edge is dubious and can defraud anybody without check. When you visit the website, and you will see the statement that the software is not for American citizens nor clients residing within the U.SA. However, the promotional video states that Crypto Edge system has traders from the whole countries of the world. This discrepancy may look like an oversight, but this level of clumsiness only proves that the developers are amateurs and not professionals. 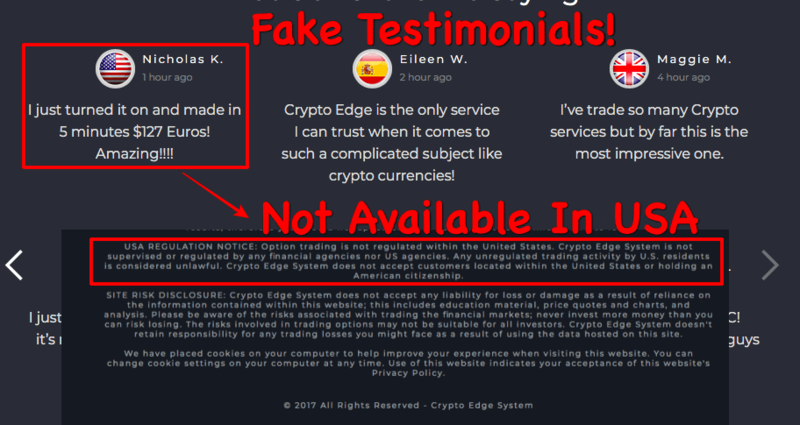 Verdict – Crypto Edge is confirmed scam software! Don’t Waste Your Time & Money! Instead Join Our Trusted Trading Robot With An ITR Rate of 83%! 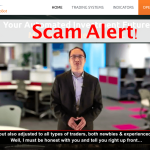 Crypto Edge is a new scam system that is making fake claims and promises. Many fraudulent activities are going on online today, and because of the broad recognition of digital currency trading, many scammers are creating artificial systems to defraud unsuspecting traders of their money. You can make profits by trading on legit systems but Crypto Edge is not the real deal. Keep your money safe and save yourself the emotional trauma of wasting your effort and time. Maximus Edge Autobot Review – Scam Or Money Making Robot? Hi sofy..is there any legit trading system like bitcoin in singapore? Is there any good ones for beginners? Hi sofy, just had a call from them and it sounded too good for me because they made a long distance call and talk to me for a long time. But still I’m looking deeper into its legitimacy. Don’t join Crypto Edge system. It’s just another scam. Hi. I got also a call from them and yes they were professionals in talking to people or scamming people LoL. And I was little bit carried by them and now, I’m searching about testimonials about the CryptoTo-Edge System, and I found this, is this true? I want an answer ’cause tomorrow I’ll send to them the bank account of my mother and I’m afraid because the money that worked hard of my mother from being an OFW was in the bank account, it is really a big money though. is this true? Yes. Crypto Edge is a confirmed scam system. Just I recieved call from this system crypto edge system…I’m not sure about this .They said they will will help go through .Someone out there has knowledge about this apps.is legit or scam…….